As creatives, we can draw inspiration from imagining ourselves in a soul-stirring setting. An expansive place that opens our minds to new horizons, easily allowing us to shed our distractions. Sometimes, we imagine the perfect writing desk with a gorgeous journal and a fast-writing pen. Or the artist imagines a studio with big canvases and an array of paint jars. How about long stretches of uninterrupted time? Yes, you say, that works, too. But the truth is that my fidelity to a contemplative practice is the key to all of it. And I can do that anywhere. This practice, which I first knew through writing, allows me to maintain an open line from my heart, my mind and my body to the ongoing flow of Spirit. If I am able to write, it is only because, somehow, by grace, God has helped me get my false self—my ego—out of the way. “You just have to keep getting out of your own way so that whatever it is that wants to be written can use you to write it,” says Anne Lamott, author of “Traveling Mercies” and many other hilarious books that will make you forget she’s talking about God. That’s how you know you’re in your own way. When we stay in negative, dualistic thoughts—deciding what’s good or bad, right or wrong—our minds go right into the box. We’re doomed to stay in the box, cushioned by our predetermined, fixed assumptions. But in contemplative practice—some would call it mindfulness meditation—we refuse to identify with one side or another. We practicing holding the tension of paradox. This is what takes me beyond words to the pure, open-minded experience. I have to go there first before I can return with the words. Because there lies the field out beyond, the one Rumi describes in his poem. Spiritual seekers and practitioners quote this poem early and often, but not necessarily do they share the second line. I remember a meadow high in the Sangre de Cristo mountains, discovered accidentally on a spring day when I was falling in love with a man. 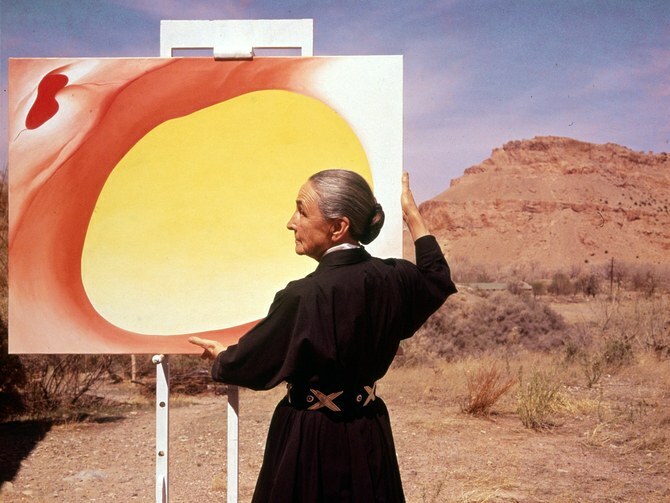 If I had to tell you where it was, it lies somewhere between Georgia O’Keeffe territory and Los Alamos, in a space between two terrible beauties, the majestic of El Pedregal and the birthplace of the atomic bomb. In that field, we lay down in the grass and watched white clouds skim through the blue sky. We were past the words, to the place where it is possible to unify contradictions. Truly, no two humans have ever fallen in love without finding a way to unify the contradictions. And so it is with writers, artists and all creative thinkers. We have to allow ourselves to enter that seemingly irreconcilable tension so that something new and utterly creative can emerge. It leads us to a new frontier, a different way of knowing. To the space of the pure, open-ended experience. I cannot give you a map. I can only tell that it begins by allowing it. You will know you are there because the place is marked by its grace, its compassion, its ever-unfolding opening. Lying in the meadow grass somewhere between, where once the atoms waited to be fissured and the red sandstone waited to be painted, I see the threshold. It’s creative. It’s energizing. And it’s always there, for all to allow it. 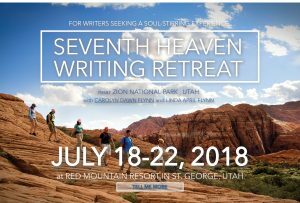 If you’re yearning for time to shed your distractions and meet your beautiful mind, come join us at the Seventh Heaven Writing Retreat near Zion National Park, Utah, on July 18-22, 2018. A supportive and vibrant community of writers awaits you. Find out more here.